Kendra Condon was born in New Orleans, Louisiana. She attended Loyola University School of Law where she was a member of Law Review and received her Juris Doctorate degree in 1990. Ms. Condon practiced all aspects of divorce, custody, and support litigation with the firm of Raymond Burkart from 1991 through 1999. Thereafter, Ms. Condon was an associate with the law firm of Frilot, Partridge, Kohnke & Clements, PA. until 2005 when Ms. Condon relocated from New Orleans, Louisiana to Destin, Florida following Hurricane Katrina. She practiced with the Destin law firm of Matthews & Hawkins, PA from 2005 until 2010 when Ms.Condon opened her own law practice, KC LAW, P.L., with the primary focus on divorce and family law cases. Ms. Condon handles all types of family law litigation, including trials, hearings; and settlement negotiations and mediations. 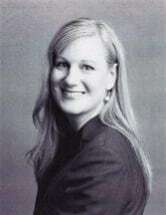 She is licensed to practice law in Florida and Louisiana. She is a member of the American Bar Association, Okaloosa-Walton Bar Association, and Okaloosa-Walton Women’s Law Society.